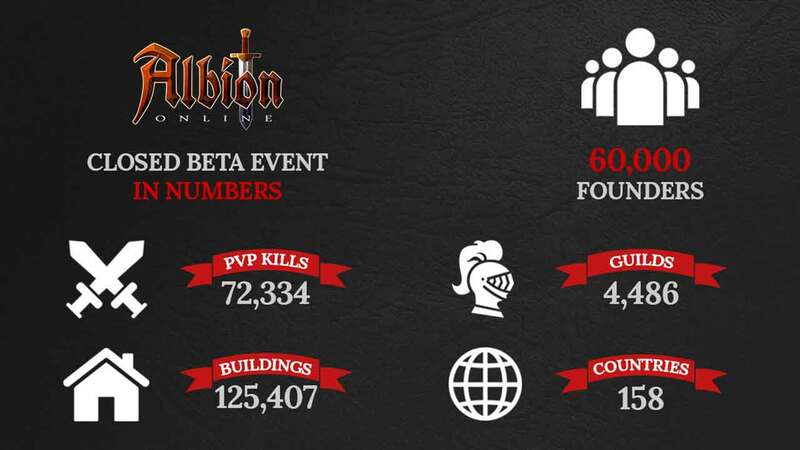 Sandbox Interactive today shared some exciting figures surrounding their upcoming sandbox MMORPG game, Albion Online, informing fans that the project has surpassed the impressive milestone of 60,000 backers helping to financially support the game in the build-up to launch. In addition the team also released a new infographic detailing some of the milestones the game has met during the Closed Beta testing period. Competitive players from around the world have amassed a massive 72,000 kills in PvP combat while those looking to mark their experience with their own little corner of the world have constructed over 125,000 houses.